Respect is The FA’s programme to address unacceptable behaviour in football – on and off the pitch. On average, 7,000 referees quit football every year at because of the abuse they receive from players and from the sidelines. Lots of children also pack it in because of the attitude and actions of over-enthusiastic and pushy parents. In response, The FA’s Respect programme provides a series of tools for leagues, clubs, coaches, Referees, players and parents from grassroots to elite football to ensure a safe, positive environment in which to enjoy the game. These tools include agreed codes of conduct, in-service training for Referees, Respect club packs, spectator sideline barriers funded by the Football Foundation and ensuring captains work with referees to manage player behaviour. The FA has also launched a free online Respect Parent Guide to highlight examples of poor behaviour and, more importantly, how it can be improved. To see the Guide for Parents and carers click here. Hollywood tough guy Ray Winstone has lent his support to the English FA’s Respect programme by starring in an online film aiming to improve parental behaviour on the touchline at youth football matches. You can watch it here. The film promotes The FA’s new Respect Parent Guide, which reaches out to grassroots football parents to set a positive example. FA research shows that more than 7,000 youngsters have hung up their boots over the last two years due to pressure from the sidelines, while a massive 98 percent of grassroots referees had been verbally abused from the touchlines. 5,000 match officials quit the game last season with spectator abuse cited as the main reason for dropping out, meaning that one in three matches in England now takes place without a qualified match official - a statistic the FA is hoping to reverse by recruiting 8,000 new referees by 2012. West Ham fan Winstone, who was an FA englandfans ambassador at the 2006 World Cup wants parents to lose the “win at all costs” attitude and bring some enjoyment back to the game. “Kids want their parents to watch them play football but they want to be supported by them, not embarrassed” he said. The film - which sees Winstone play two roles as an overbearing parent and a ‘Godfather’ who calls for people to use their common-sense - is the latest push in the FA’s high profile campaign, launched at the beginning of this season. 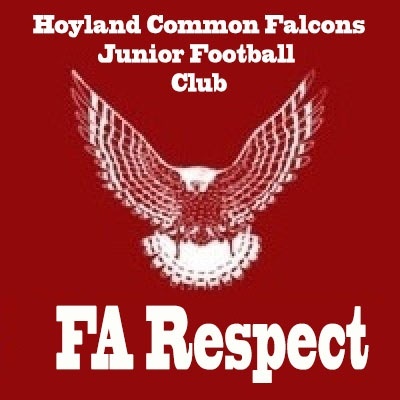 Respect has been high on the agenda this term and it appears that the message is beginning to get through, with over 500 leagues already signed up to the programme. An FA spokesperson told Club Website: "The FA Respect programme has made great progress throughout the grassroots game with over 560 leagues signing up as Respect Leagues across the country. "So far our research shows an 8 percent improvement in dissent figures for grassroots football nationwide, while clubs and leagues have also been supporting the Respect Barriers which were endorsed by both Stuart Pearce and Howard Webb back in November. "The new Ray Winstone film on TheFA.com promotes our online Respect Parent Guide which will hopefully improve touchline behaviour in youth football. "It's important to realise that youth football is all about creating an environment in which children can enjoy playing the game with their friends while developing their skills." Winstone himself believes that all adults involved in grassroots football should watch The FA Respect Guide and make the game more enjoyable for players, referees, coaches and parents.